The QLR is loading a shp that's in the same folder. Browse other questions tagged qgis pyqgis qlr or ask your own question. 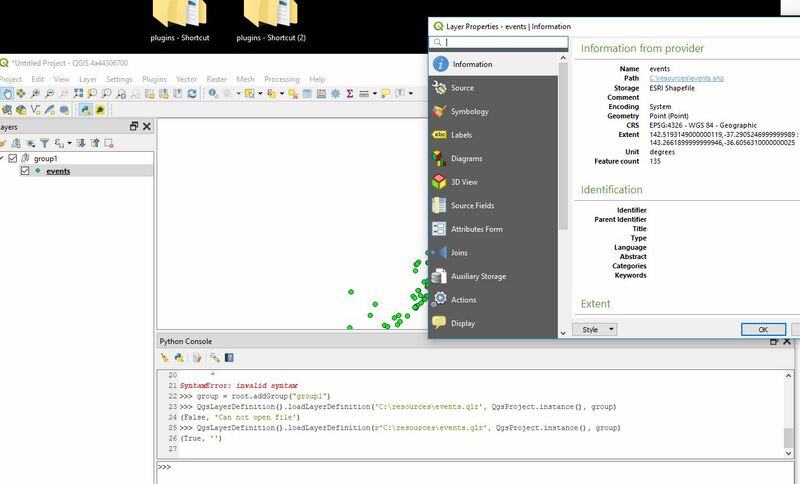 PyQGIS script works on one computer but not on another? Loading qlr files in PyQGIS? 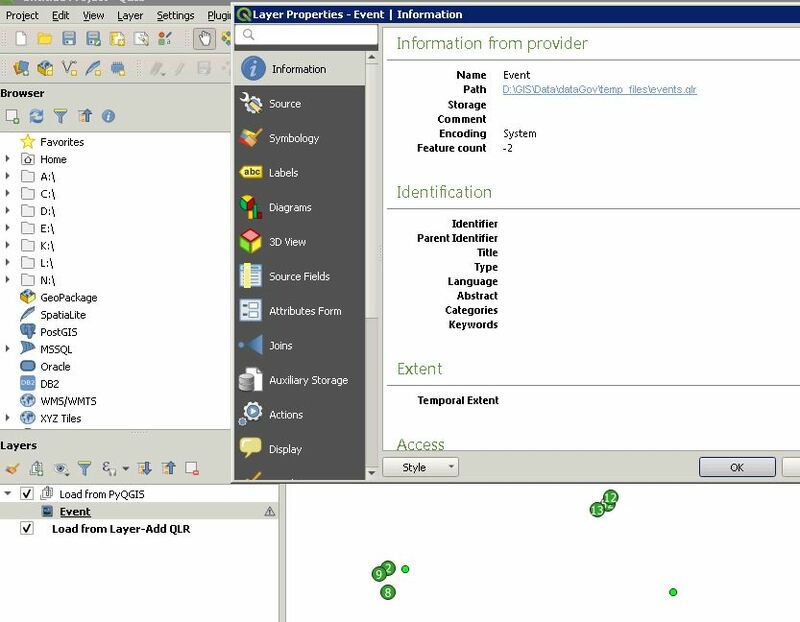 Loading raster layer using PyQGIS? Why are the layer-tree-layer source attributes absolute even if my project is set to relative paths?